Sometimes the staple products that line our vanities don’t get the attention they deserve. These are the formulas we’ll always be loyal to. Are you feeling bloated all the time? 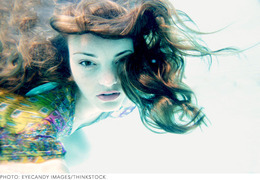 Beautylish fitness expert Kit Rich has seven tips to help you tame your troubled tummy. 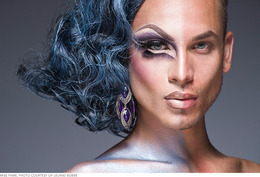 There’s a feminine (and masculine) spirit in all of us, and in photographer Leland Bobbé’s incredible half-drag portraits, each side gets a voice. 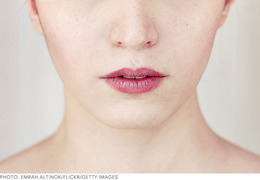 We hate to break it to you, but a universal neutral lip color doesn’t exist. So if you’re on the hunt for a flattering everyday lipstick, look no further! Behind the Scenes of the Beautylish Shop! Beautylish Boutiques have finally arrived, and we’re so excited to invite everyone inside! Keep reading for a behind the scenes peek at what it takes to launch a shop. Our obsession with rainbow hair started earlier than you think! Take a trip down memory lane as we recall our favorite hair color products from our childhood and teen years. 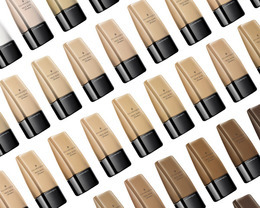 Forget BB creams, Illamasqua’s Skin Base Foundation is our latest complexion obsession! Keep reading to learn what makes it so special, and some insider info from Illamasqua’s director of product development, Daniel Horne. When we press play on the latest makeup tutorial or eye liner how-to, the last thing we expect is a moral at the end of the story. Yet as of late, ad agencies have tapped into the makeup medium as a way to call attention to serious public issues. Summer is a great time to try out a new ‘do, but the pool and surf can leave your hair looking less perfect, a little more...scruffy. Keep reading for some expert tips on how to take care of your tresses. The industry is filled with amazing opportunities, but it’s also up to you to get proactive about your career. Here are a few tips to ensure you get your foot in the door—your portfolio should do the rest!